Sailors and spectators are invited to mark their diaries now for one of the world's oldest sailing regattas, incorporating events for all types of yachts big and small, dragon boats, tugboats, remote controlled yachts, and more. Harking back to the days when sailing was a true national sport, Auckland Anniversary Regatta is a spectacle of a birthday present for a city that is encircled by water. Eric urges anyone that owns a boat to get it out on the water for Auckland Anniversary Regatta, and for anyone that knows someone who owns a boat, to convince them to take part in the festivities. “There are 16 events happening in different parts of the Hauraki Gulf, starting at 10am on Monday 28 January,” he says. The regatta is designed for spectators, and times and places to watch from will be communicated closer to Anniversary Day. Full details of racing can be found at www.regatta.org.nz. 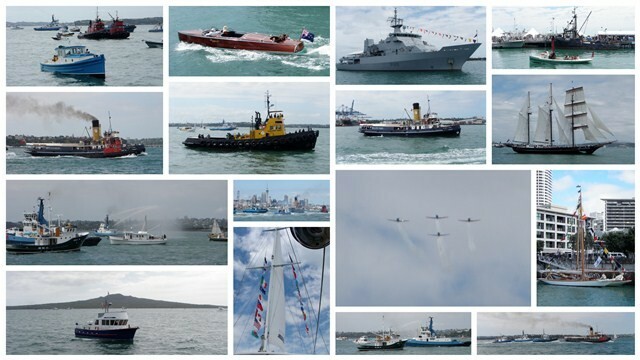 Organisations supporting the event are the Royal New Zealand Navy, Classic Hits 97.4FM, the Spirit of Adventure Trust, The Southern Trust, The Lion Foundation, and Ports of Auckland Ltd.
By Zoe Hawkins for Auckland Anniversary Regatta Inc.